St. Marc Café, a famous specialty bakery and patisserie in Japan, has finally opened its first branch in the Philippines located at the ground floor of the Mega Fashion Hall, SM Megamall in Mandaluyong City. 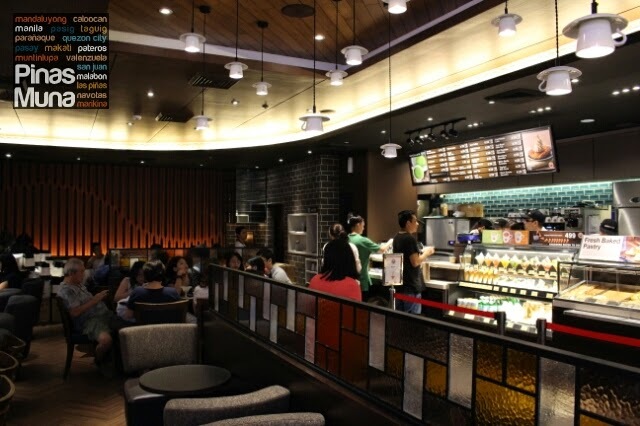 St. Marc Café takes pride in offering freshly bake breads and pastries, as well as desserts, coffee and tea. 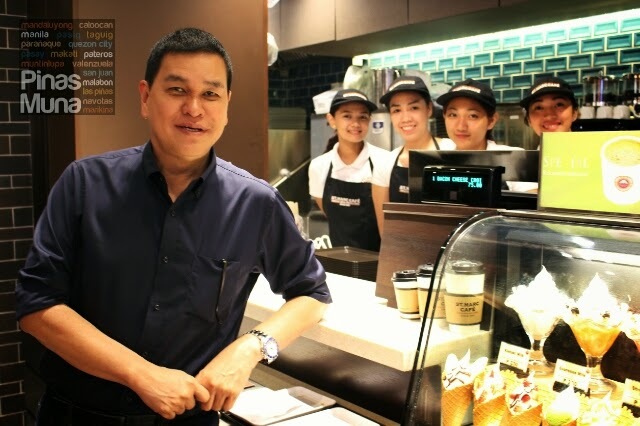 The concept is to combine a Japanese dessert place with a premium coffee shop which Filipinos can now experience without having to fly all the way to Japan. 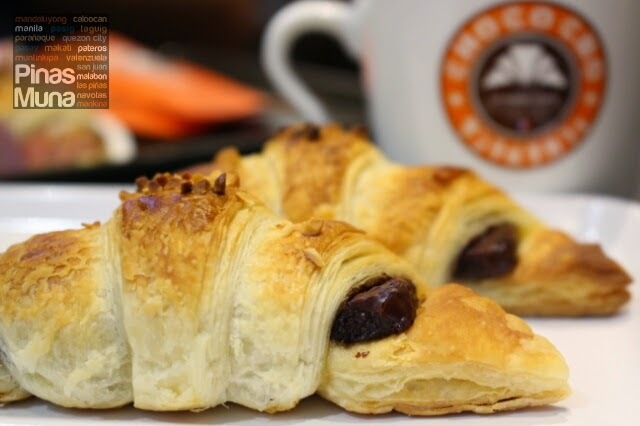 St. Marc Café is well-known for its signature product, the Choco Cro. 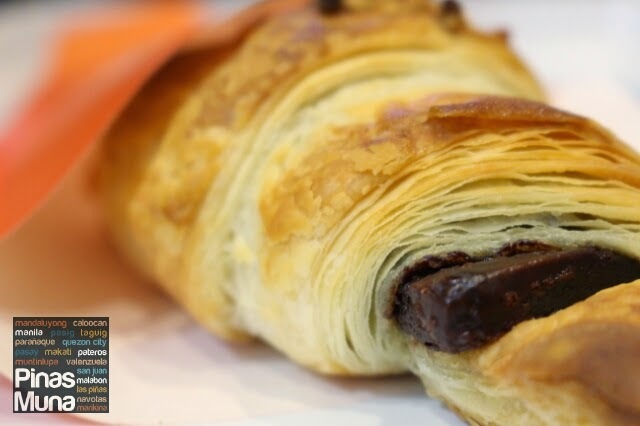 It is made with a more than 20 layers of buttery croissant dough wrapped around a dark chocolate center that is made from a blend of the finest Ghana and Ecuador cacao beans. It sells for P55.00 per piece. 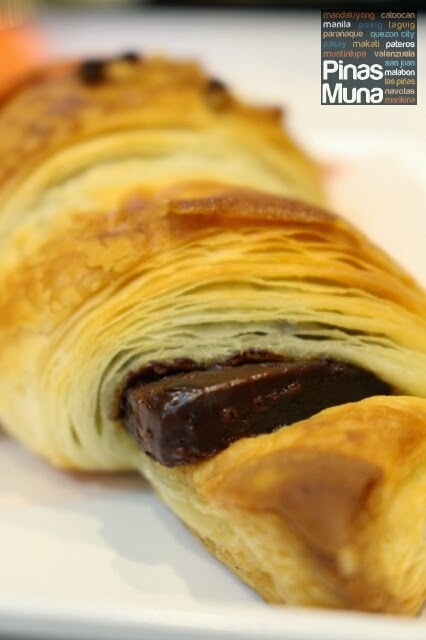 The Choco Cro is soft to the bite especially while it is still warm, so make sure you request one from the fresh batch. The dark chocolate center was a bliss, you could really taste the premium quality of the cocoa beans used. We also loved their coffee! I had a medium serving of their Freshly Brewed Coffee (P110.00) and it's one of the best brewed coffee I ever had in my life. So, I'm definitely coming back for the coffee. They also serve Vietnamese Coffee which I'll probably try on our next visit. 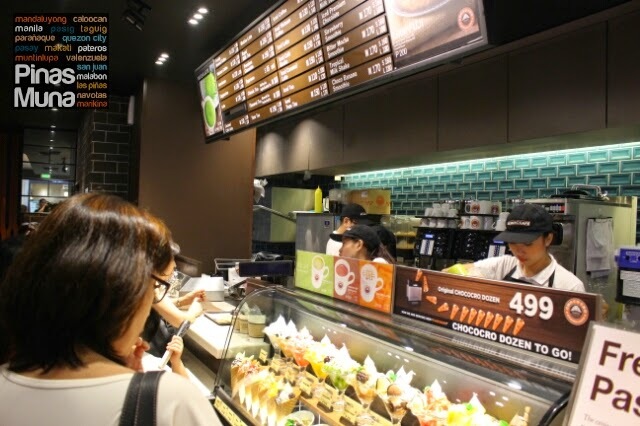 Espresso based beverages such as cappuccino and latte, as well as tea, milk tea and tea lattes, including matcha and yazu, are served hot or iced. The interior has a stylish design featuring dark wood- and earth-tone colors with warm lighting. The place was practically full during our visit at St. Marc Cafe Megamall, but just like an many cafe's in Metro Manila, you just have to wait a few minutes and if you are lucky, a table will soon be available. 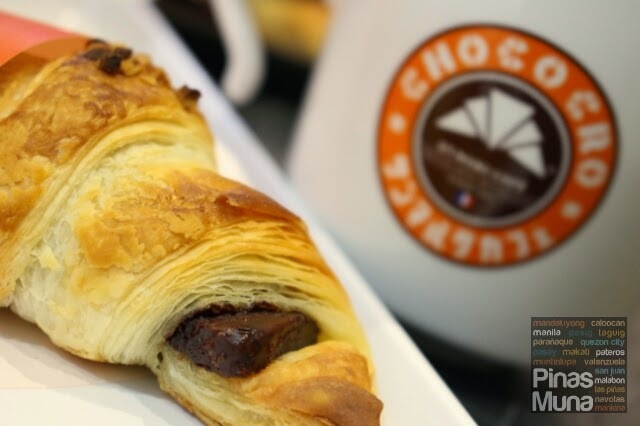 Will the Choco Cro be the next "pasalubong ng bayan" that you will soon see in airports? Perhaps...perhaps not. That's for us to see on our next travels. 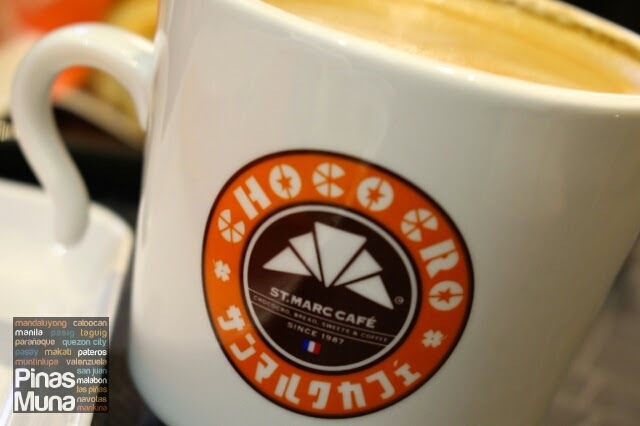 But for now, we can see that Saint Marc Cafe Philippines is preparing for that possibility by offering discounted price for the Choco Cro is you buy them by the dozen for P499.00. That's a saving of P161.00, almost the prize of three Choco Cros. It also comes in stylish packaging. 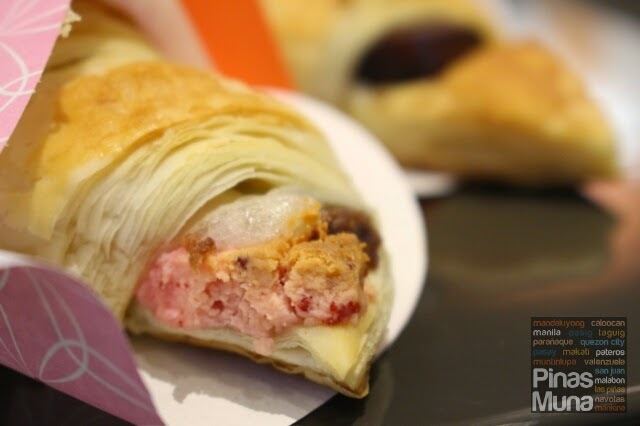 The Choco Cro also has a special variant, the Strawberry Daifuku Chococro which contains strawberry chocolate, red beans and sticky rice cake inside the croissant. We were told that this variant is only available for a limited time. 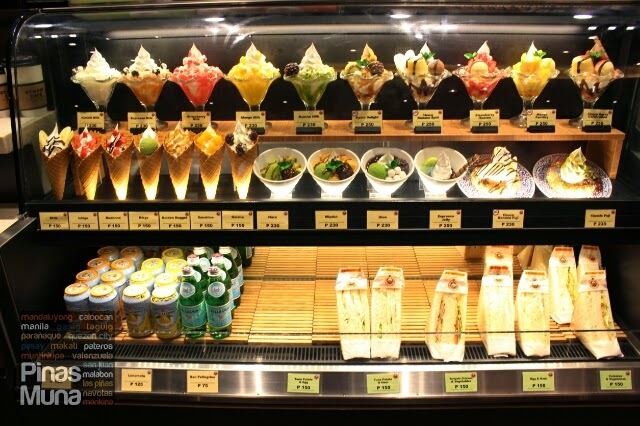 On our next visit, we would also want to try their dessert offerings such as the Classic Fuji, as well as their pastries. And we are back at St. Marc Cafe to try out their desserts. 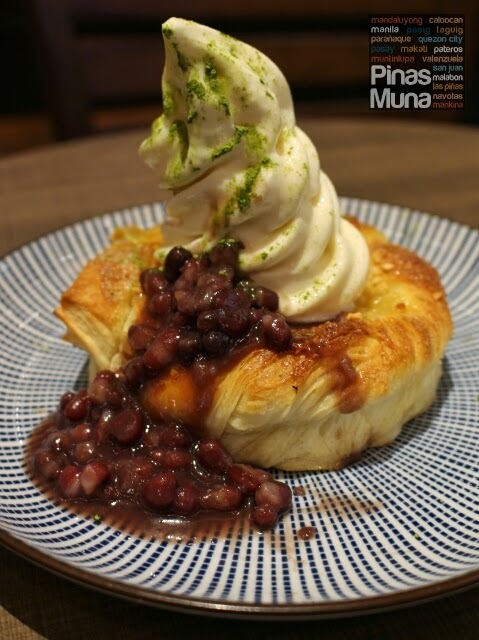 We ordered no other than the Classic Fuji (P230.00) which is made of Butter Danish topped with soft serve vanilla ice cream, red beans, black honey and sprinkled with matcha powder. We cut small bits of the Butter Danish and added some vanilla ice cream and red beans to it. The Butter Danish was soft while the vanilla ice cream gave a creamy taste to the bite. The red beans gave an Asian character to the dessert while the matcha powder adds a slightly bitter flavor that is distinctly Japanese. We loved the Classic Fuji though we find it a bit expensive at P230.00. Next time, we'll try out the Choco Banana Fuji. 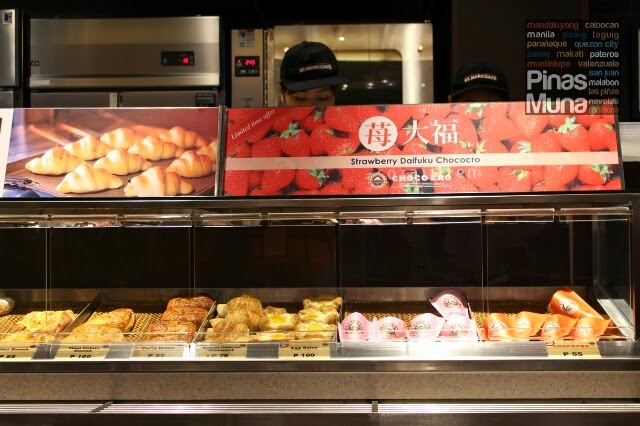 We also tried some of the pastries on display. We started off with the Egg Salsa (P100.00). 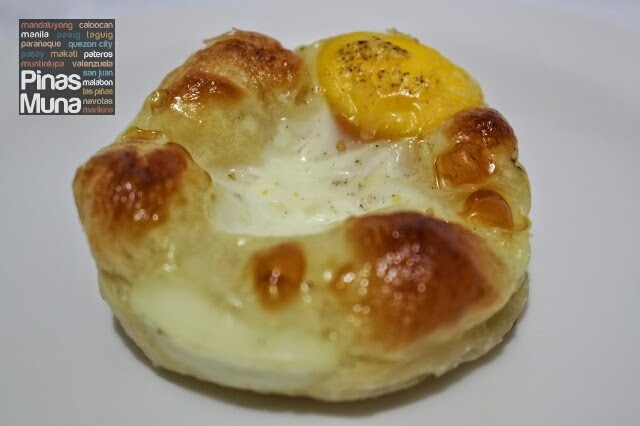 It's a savory bread that contains a mixture of whole egg and some meat in it. We tasted mayonnaise as well. It's somewhat similar to eating bread filled with egg salad. Edgar loved it. I on the other hand find the egg overcooked. I'd prefer the egg yolk to be a bit runny just to add a contrasting texture to the bread. Making it a bit messy to eat adds more fun to the experience I think. Another savory bread is the Curry Bread (P85.00). I liked it because the curry filling is not overpowering. There's also no meat inside the bread so this one makes a healthier option. 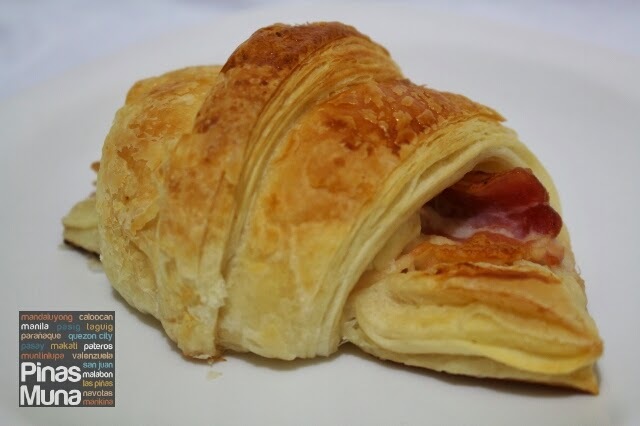 The next one is the Bacon & Cheese Croissant (P130.00). 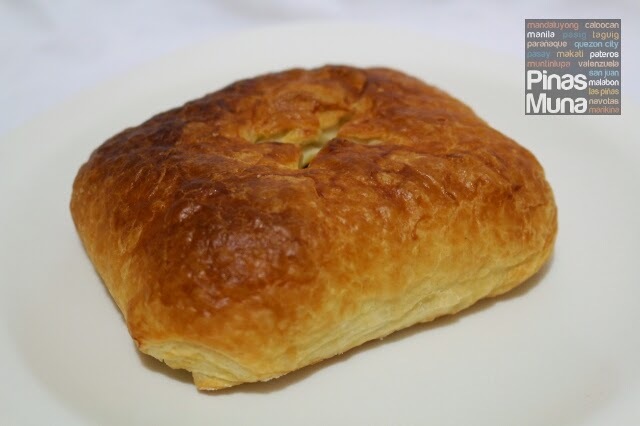 Inside the buttery croissant are strips of bacon and mixed with cream cheese. We Filipinos are so used to ham & cheese croissant sandwich, the Bacon & Cheese on the other hand is something the Pinoys would equally love. The highlight for me is the cream cheese. It didn't add too much saltiness to the sandwich and its lightly tangy taste matches the smokiness of the bacon. Finally, we had the Almond Sugar Pie (P75.00). From its name, you can already guess its taste profile. The taste reminded me of Christmas and wanted to pair it with hot chocolate. 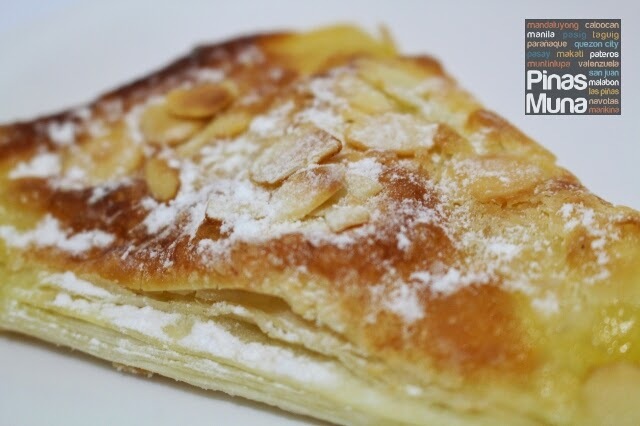 Perhaps it's the light cinnamon taste of the pastry, or it could be the sliced almonds used as a topping. I'm seriously gonna try this again and will pair it with their Premium Chocolate drink. We were also very honored to have met Mr. Ben Chan, the man behind the clothing brand Bench, who also brought St. Marc Cafe to the Philippines. It was indeed a fun night over coffee and freshly bakes pastries. How timely! 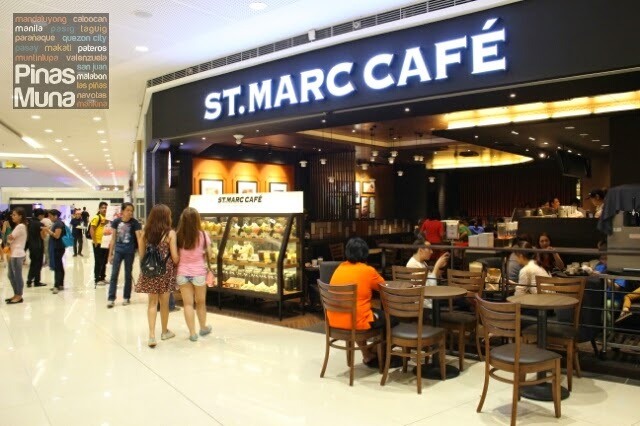 I was just thinking whether St. Marc Cafe was available in Manila and lo and behold, it is! Seems like everything is available in Manila these days. The matcha version of the croissant is the best, I wonder if they have it there as well.